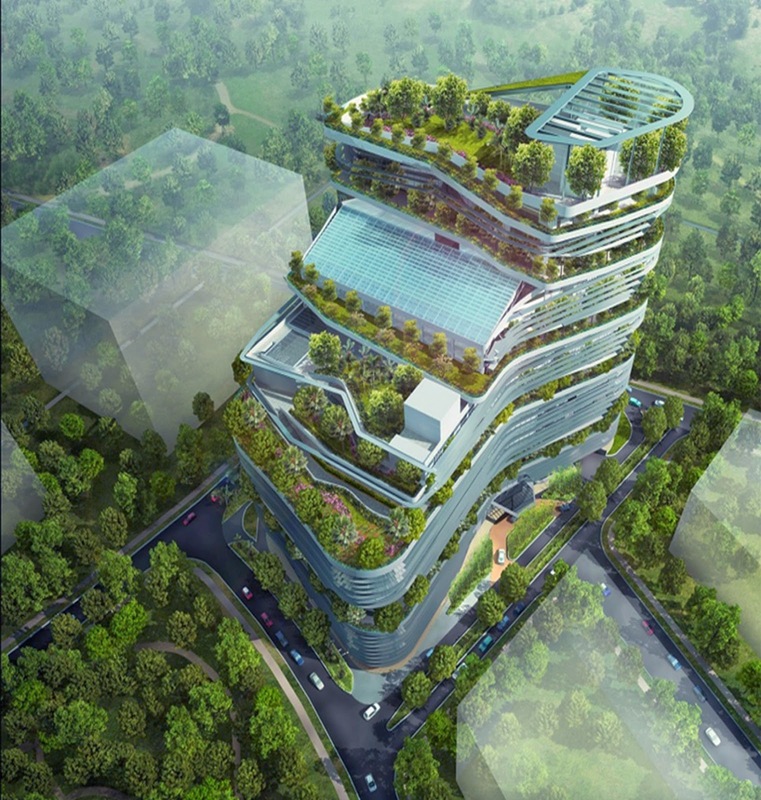 Solaris designed by Dr. Ken Yeang has won multiple accolades for its integrated eco design such as top honours at the Skyrise Greenery Awards held by the Singapore Institute of Architects and National Parks Singapore and its top achievement of being awarded the BCA Green Mark Platinum Award. 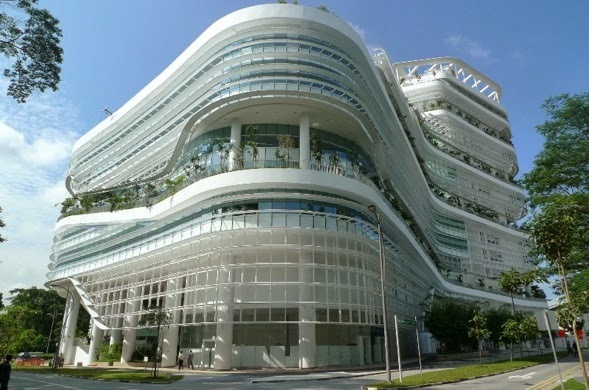 It also managed to clinch a Green Good Design Award for Architecture in 2010. 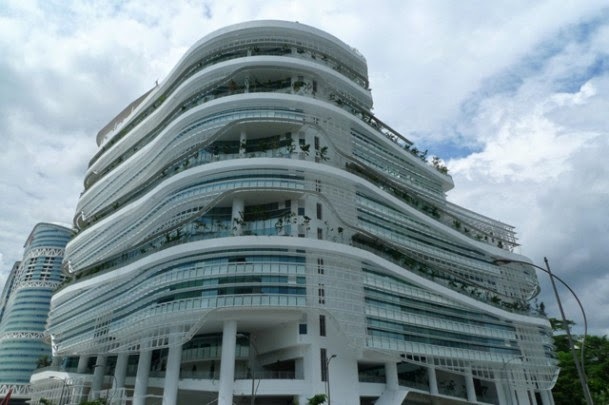 However, the greatest green feature of this building has got to be its rainwater harvesting strategy to minimise water consumption. On rainy days, water will take 3 days before it completely travel from the top of the building down to the water bank at basement. As the water flowing downwards like a waterfall from the hill, the plants along the spiral landscape areas are irrigated naturally. 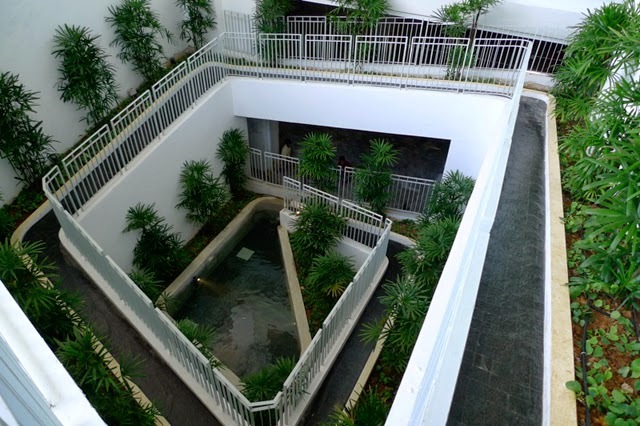 When there isn’t any rain, stored rainwater would then be pumped from the water tank to the irrigation copper pipes installed all over the landscaped area to water the plants. This is indeed a brilliant idea of recycling rainwater instead of letting it flowed away into the ocean. This state-of-the-art facility is an integral part of the renowned Fusionopolis cluster which is designed to house MNCs from the info-communications, media, science and engineering R&D industries.